Back in the day, a bestselling author of a book was a big deal. Today, it’s not really as a big deal as it use to be. I’ve heard that some of the best books in the world are unpopular because they are not marketed well, and some decent books in the world can be well known because of their powerful marketing. To be completely honest with you, I wrote this book for only one reason. To make a bigger difference in the world. For the last twenty-three years I’ve been facilitating powerful transformational trainings for teens, parents and families. However, I’m no longer satisfied with helping 40-60 people at a time; I really want to reach the masses! When you make the kind of difference that I make, in the capacity that which I can make it, I’ve gotten myself to a point that I cannot “Not” make a bigger impact! So, I wrote “The Inspirational Parent”. A conscious parenting book to help all parents become more aware, more conscious, and more effective in their relationships with their children. In order to do that… I have to learn how to market my book so that more people know its available to them. One way to do that, is to promote the book in such a way that it causes a wave. In order to cause a big wave, I must first cause small tiny waves, until all the tiny waves become one big wave. I am asking you to help me cause a tsunami. I’m asking you to help me become an Amazon Best Selling Author in 24 hours. Buy my book on Tuesday, August 8th, 2017 and leave a testimonial on the Amazon website, so that the ranking goes higher to expose it to more parents who are looking to improve their relationships with their children, and their families. If you help me, I will make it worth your efforts. I’m giving away two brand new kindle fire’s, do you want to win? Someone reading this post will win, will it be you? In order for my books to become an official “Bestseller” on Amazon… I need to have real customers with real sales and real testimonials posted on the Amazon website. 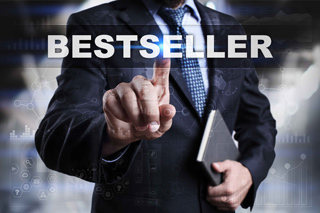 What’s surprising is that it doesn’t take a million orders to become a best seller. By my estimations, if just 150 – 300 people buy my book on Tuesday, August 8th, 2017, we will have a great chance at being at the top of the list of parenting books; with the potential to be number one. Will you help me? What’s a better way to motivate you to help me, help millions of parents and families all over the world? All you have to do is purchase one book or multiple books as gifts on Tuesday, August 8th, 2017 at $12.99 and then just write a nice testimonial. I don’t know if only two people will do this for me, or two hundred people, but the odds of you winning one of the two Kindle’s, are better than the lottery, lol. On Friday, August 25th on my Radio Show “The Inspirational Parent” Live at Noon (PST), I’m going to take all the testimonials directly from the Amazon book page and match them with book purchases from August 8th. Then I’m going to put them into a hat, and pull out two winners of a brand new Kindle Fire, and announce them live on the air at KHTS Radio. Then I’m going to have the brand new KINDLE FIRE shipped to your home; if you win. No matter what country you live in, just for buying a minimum or one book at $12.99 and writing a nice testimonial. I’m also going to send you a link to download my e-book for FREE. If you don’t win, you still get to read a really great book on conscious parenting which you probably want to own anyway. In addition, if you don’t win, and send me an email with a copy of your testimonial written before the August 25th date along with your August 8th book purchase, I will send you a FREE e-book of “The Inspirational Parent” to download for yourself, or for you to gift away to someone else. I know that for some households, I may be asking a lot to spend $113 for a book, you could probably just write a book review or testimonial on Amazon without purchasing the book. Book buyers are given more credibility than non-buyers If you write a testimonial on a book you didn’t buy, Amazon doesn’t think your testimonial is very creditable. But if you buy the book with your Amazon account, they think it’s highly, highly credible and place your testimonial higher on the page. This helps new people discover it, and believe “The Inspirational Parent” is a great choice to make when purchasing parenting books. 1. Buy book on Tuesday August 8th, 2017. 2. Must leave a testimonial (book review) on Amazon book page. 3. Must have an amazon.com account to enter (buyers only). So, if you are willing to help me get my newly released book “The Inspirational Parent” to be a bestseller…. Click on this link to order my new book, “The Inspirational Parent” on Amazon. On the day of the launch, go back to amazon and add your testimonial. Alex Urbina is a veteran Teen & Parent Strategy Coach, Life Advisor, and Personal Development Teen & Parent Trainer; he takes his 20+ years of experience and serves you an array of wisdom and enlightenment to help you become the “extraordinary parent” that you were meant to be.